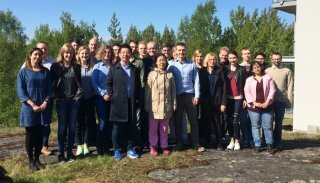 A HIIT-wide team led by professor Jukka Corander included several scientists from both UH and Aalto with a joint mission to create the most advanced and computationally best scalable method for genome-wide association (GWAS) studies in bacteria. The team had a close collaboration with the Pathogen Genomics Group at the Wellcome Trust Sanger Institute where GWAS is an important step towards unraveling the secrets behind evolution and success of numerous major human pathogens from large-scale population genomic data. 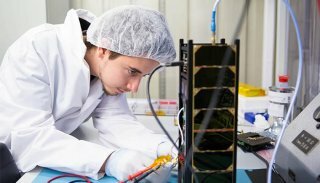 Aalto University and University of Helsinki, the two leading universities in Finland within computer science and information technology, are looking for excellent researchers in several areas of ICT. 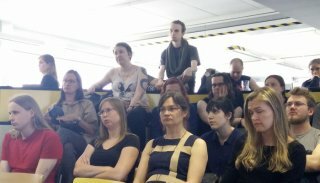 The Helsinki Institute for Information Technology (HIIT) arranged a film evening in the premises of the software company Futurice in May. HIIT showed the American documentary film ‘Code Debugging the Gender Gap’, which focuses on programming, gender and minorities. 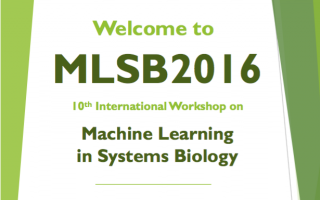 BREW 2016 Bioinformatics Research and Education Workshop was organized in Helsinki in May. BREW is a series of annual workshops for PhD students in bioinformatics and computational biology, which aims to give an introduction to scientific conferences, including submission, peer review and presentation of scientific papers. All participants both present a paper and participate in the programme committee, reviewing papers from other participants. Dr. Matti Järvisalo has been invited to deliver one of the Early Career Spotlight Talks at IJCAI-16, 22nd International Joint Conference on Artificial Intelligence taking place In New York City, USA, in July 2016. IJCAI is the prestigious number-one conference on artificial intelligence world-wide. HIIT was one of the main organizing institutions for the ABC-in-Helsinki workshop on Approximate Bayesian Computation (ABC) and related methods that gathered together over 50 researchers from 17 different countries to a cruise between Helsinki and Stockholm. The workshop was a continuation to a series of 'ABC-in-' international workshops, previously held in Paris, London, Rome and Sydney. In his Master’s Thesis, Joonas Javanainen examined the level of preparedness the additional challenges of space impose on software design. The Master's Thesis was supervised by HIIT's programme director Keijo Heljanko.